The SQL STRING_AGG is one of the String Function, which concatenates the string expressions, and places a specified separator in-between them. Remember, this function will not place a separator at the end of the string. In this article we will show you, How to use/write STRING_AGG with an example. Group By: This is an option argument. Use this to perform grouping. 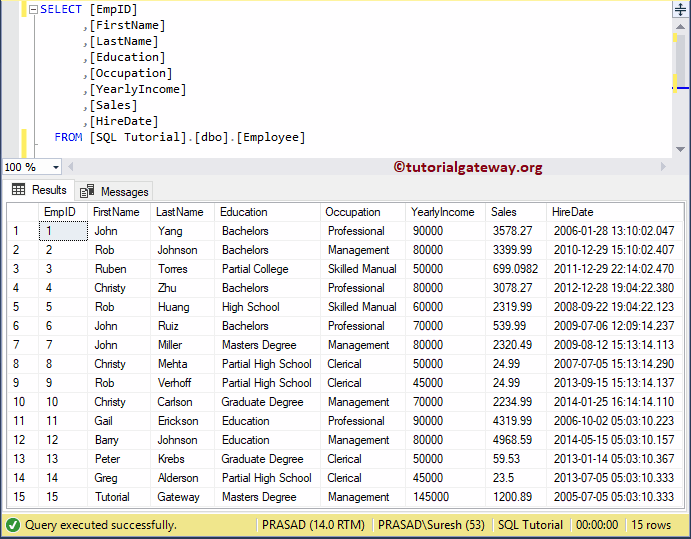 In this example, we will concatenate the Last name columns data using STRING_AGG function. In this example, we are going to implement the Grouping along with String_Agg function.